OFFERED WITH NO UPPER CHAIN. in this SOUGHT AFTER HP1 location within EASY REACH OF SCHOOLS AND SHOPS THIS LARGER THAN AVERAGE END OF TERRACE HOME. Boasts. an entrance porch and hallway. A GENEROUS LOUNGE. KITCHEN DINER. UTILITY/ CLOAKROOM. LARGE CONSERVATORY. TWO DOUBLE BEDROOMS. BATH/SHOWER ROOM. Enclosed LARGE GARDENS. Gas central heating and double glazing. CALL NOW FOR MORE DETAILS. Double glazed front door to the entrance porch. Hardwood front door to the entrance hall, stairs to the first floor. Double glazed bay window to the front, feature fireplace with inset gas fire, TV point, wall light points, archway to the kitchen. Fitted with a range of base and eye level storage units, work surface areas with inset single drainer stainless steel sink unit with mixer tap, gas and electric cooker points, tiled surrounds, radiator, twin double glazed doors to the conservatory, space for dining table. From the kitchen with space for fridge freezer, plumbing for washing machine, low level WC, pedestal wash hand basin, under stairs storage space with wall mounted gas boiler serving central heating and hot water. A double glazed conservatory set on a half brick base with twin double glazed doors leading to the rear garden, wall mounted gas heater, power and lighting. Stairs to the first floor, double glazed window to the side, access to the loft space. Two double glazed windows to the front, radiator, range of built in wardrobes. 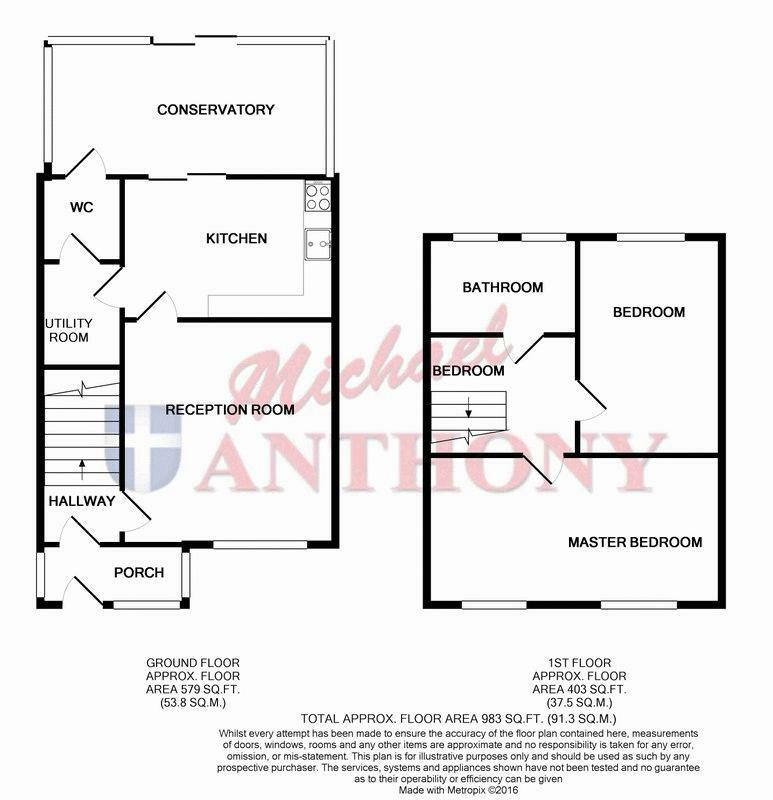 A three piece suite comprising low level WC, pedestal wash hand basin, walk in shower with electric shower, two double glazed windows to the rear, radiator, tiled surrounds. Gated access to an enclosed front garden laid mainly to patio with established well stocked surrounding border, steps to the front door. A delightful mature sunny south westerly facing rear garden, being full enclosed and extending to over 50 feet in depth. The garden is laid mainly to patio with various mature trees and shrubs, ornamental fish ponds, storage shed and gated side access.